This is the first obstacle I am experiencing in this whole gallery process. We have come this far, (in plural, as we are a team, in next post I will elaborate on this), following a vision, candidly yet honestly; consistently yet calmly; realistically yet magically; enjoying the process, the road, without thinking very much about the destination. We have all worked hard in this vision, yet it has really felt as a spiritual experience. Fernando Pessoa, Portuguese poet, says, “vision is the tact of the spirit”. Suddenly details as expenses, cost analysis, regulatory, concepts so familiar to me, which made my day to day in the last 25 years as an engineer, become fears in my ethereal vision of this new art cosmos we have embarked. I have just realized this is real. And real life comes with all the technical details of an economic activity. At the end we are a gallery, and we expect our pictures and sculptures find an owner. Questions haunt me. Will permits be approved? Will people like what we are offering? Will people come to us, at all? Well, at the end they say, the most dangerous thing about fear is not to have it. My family team encourage me every day; they are the wind under my sails, the spirit of VER. No doubt, obstacles in life, are life. 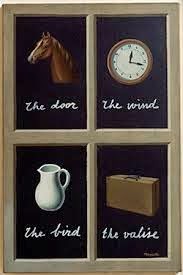 Key of Dreams - Magritte (1898-1967) - I chose this picture because it invites us to see (VER) things differently. Art is everything you do with love. 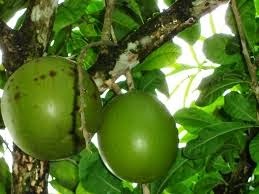 Just wanted to start this post with this phrase, before explaining what a Tapara is, for those of you wondering. 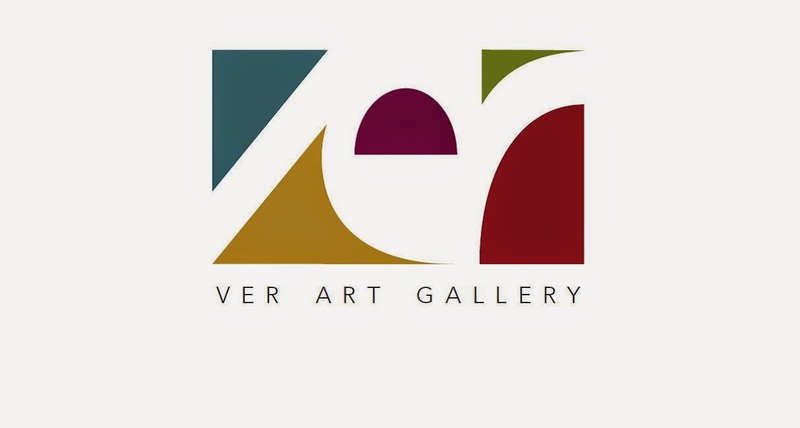 A gallery, little or big, needs to be all about quality, that is our premise. Quality, in this case, has an intrinsic relationship with the passion of the artist, the power of transformation, attention to detail and refined execution. Every single piece we offer in VER, complies with all of the above. Our core collection of paintings and sculptures encompasses important names of Latin American contemporary art; artists with very relevant and lengthy trajectories. However, under the same premise of quality, we welcome new artists that share the exquisite passion of loving what they do. This is a story about the land where I was born and friendship. 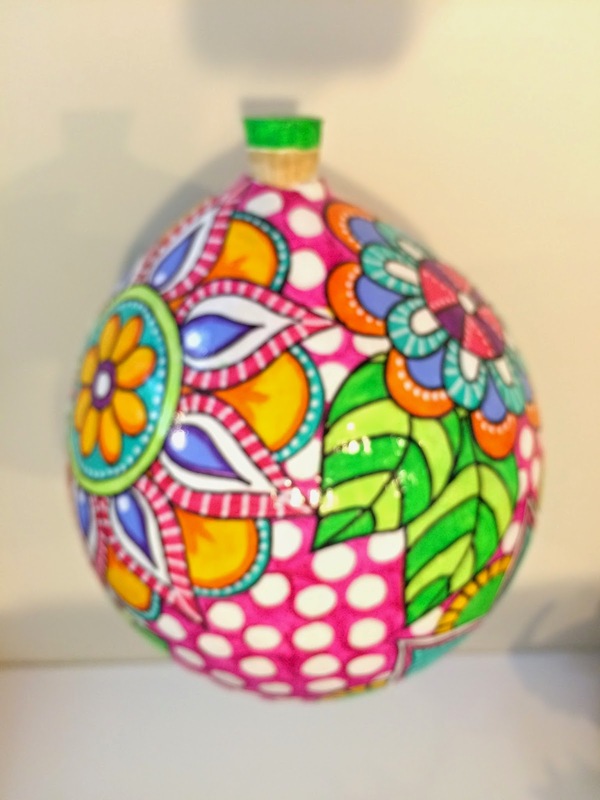 The Tapara is the product of the Tapara Tree (Crescentia Cujete), that grows in the tropics and what follows is an artist inventing a brand new fruit. They say true friendship is timeless and is always where you left it. I remember a happy curly haired girl with vibrant, contagious laughter. She is still there, exactly where I left her, bringing a new sense of brightness and happiness, through her artistic creations. From ancestral Hacienda Paya, Aragua State, where Taparas come from, Venezuela; to USA, where my friend resides and where alchemy happens; and eventually to Calgary, we welcome Regina Viso-Torres and her colourful, delicate and exquisitely executed Taparas. And by the way, art is also whatever makes you happy. New talent always welcome in our space.
" Art is beauty, the perpetual invention..."
In our treasure box, we now have: motivation, a space and an unusual business plan, or the absence of it. 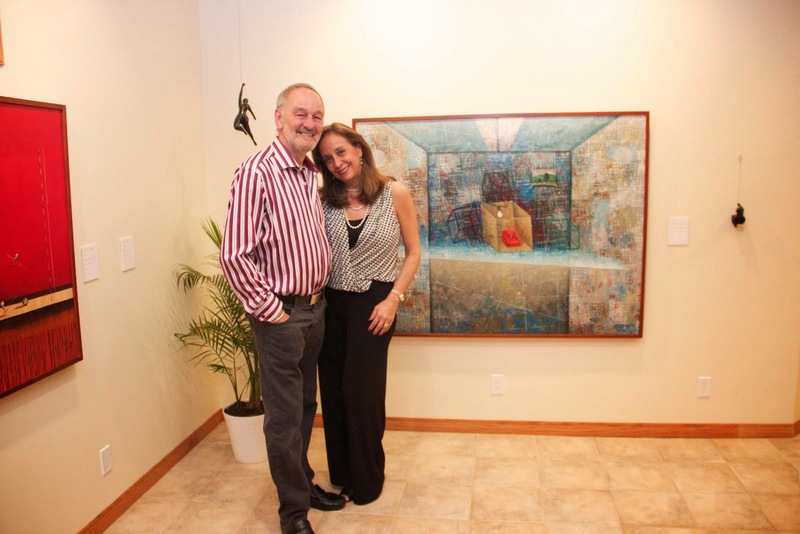 We have a Latin American art collection ready to be shared too. Now is the turn to develop a “marketing” strategy. I have to confess that I don’t like the words “marketing”, or “sale” or “product”. They leave a commercial aftertaste that is very far from the aura of our gallery. But somehow, we need to reach people. People are what make a place come to life. I did a bit of research on the subject and theoretically, a marketing plan needs to answer three questions. I’ll try. We are building a place of encounter for art, imagination and creativity. Geographically we are located in South East Calgary, by the Bow River, 20 minutes from downtown. We are not open to the public yet, as there is paperwork to do, so for now we operate online and by appointment. We want to offer a place that is alive. We want to bring VER to life. 3) How do we get there from here? This is where things get a bit complicated. VER being a “home” project is a double edged blade. It might sound terribly domestic and amateur. Not very inviting on the one hand. It could also bring a sense of unpretentiousness, easy sensation. A purpose of enjoyment on the other. Like we said in our previous post, we are not in the sales business. We would like to offer your presence, virtual or not, besides an aesthetic experience, an everlasting pleasure given by the intangible, magical substance that surrounds you when you are in the presence of light, colour, friends and good intentions. Our Latin American art collection is quite unique as well. So for now, I am going to forget about all the technical words I read while doing my research for this post, and invent my own word instead of metallic “marketing”.